Available in blue, black or mirrored. 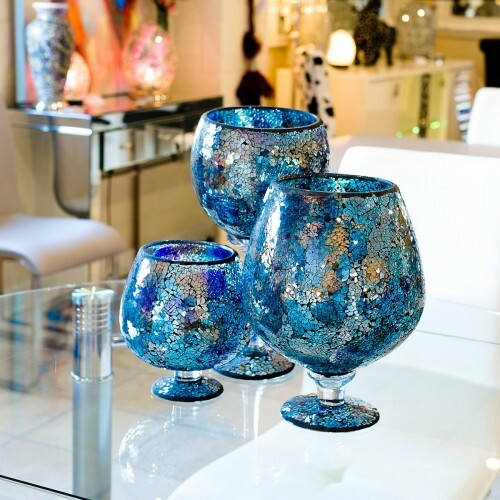 The latest addition to our mosaic glass giftware and accessories range, our popular mosaic glass hurricane vase is now available in a vibrant blue style and will make a fantastic display item to go around the home. 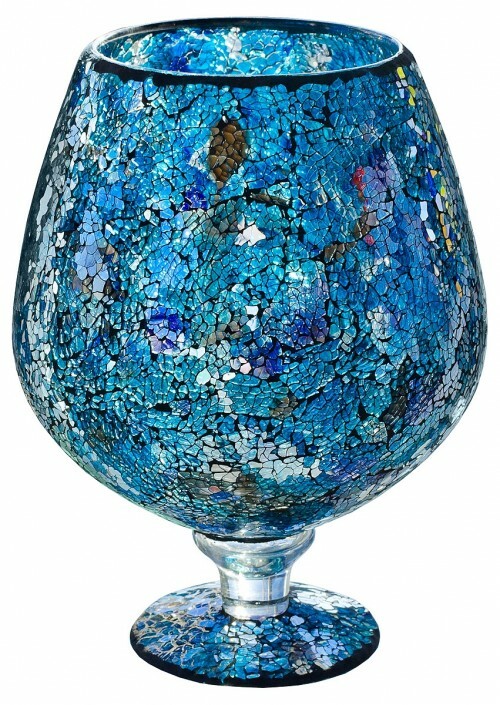 Each hurricane vase has a unique pattern and also comes in mosaic black or mirrored silver.